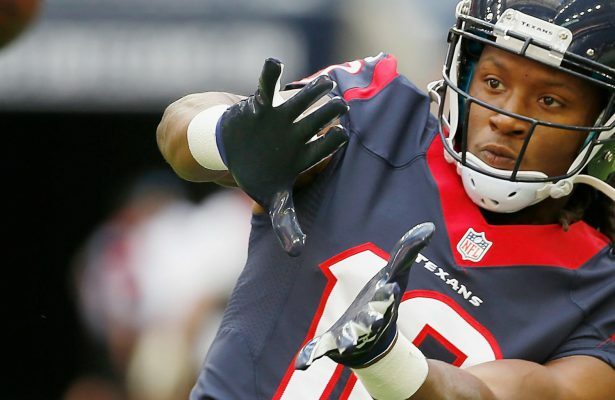 Our Free Agent (FA) Expectancy series is back! Throughout the offseason, I will be preparing a collection of articles that will focus on free agents and trade candidates. The articles will discuss the player in question, and what the move does to their value, as well as what their landing spot means for their new and old teams. Holy catfish Batman! We all knew that Jerick McKinnon was likely going to earn a bigger payday than his entire rookie deal ($2.73MM) but to become the 4th highest earning RB, $7.5MM annually and 2nd highest in 2018 ($10.5MM) is as big a shocker. It is as much an eye-opener as Kirk Cousins’ fully guaranteed contract. Clearly, Kyle Shanahan has a plan for him to be used frequently in his offense which has McKinnon truthers screaming in triumphant victory. Just two years ago, however, we had a similar situation with Giovani Bernard in which he was given a larger than average contract only to continue the same role he previously had as a pass catching/change of pace RB. Are we potentially being hoodwinked by the 49ers into giving a huge long-term deal to McKinnon? Let’s delve deeper into what McKinnon’s role will likely be based on Shanahan’s recent backfield usage. McKinnon has been trying to hone his skills as a full time running back the last 4 seasons in Minnesota after splitting time as a quarterback and tailback at Georgia Southern. His metrics are off the charts which is why those who believe in him think he would exceed expectations given a backfield to call his own. On PlayerProfiler his best comparable is the best RB of the 21st Century, LaDainian Tomlinson which only elevates those expectations. So far, however, he has been fairly average playing behind another Hall of Famer Adrian Peterson and then last year getting his chance to split time with Latavius Murray only after Dalvin Cook was lost for the season. Now, this may be more of a coach’s lack of usage rather than a lack of talent however, it is something to note. It seems that Kyle Shanahan believes that he can be a starting back, even being quoted as saying that he has “3-down potential”. He better be for that price tag. So what can we expect from McKinnon or any other RB in Kyle Shanahan’s offense in year 2? 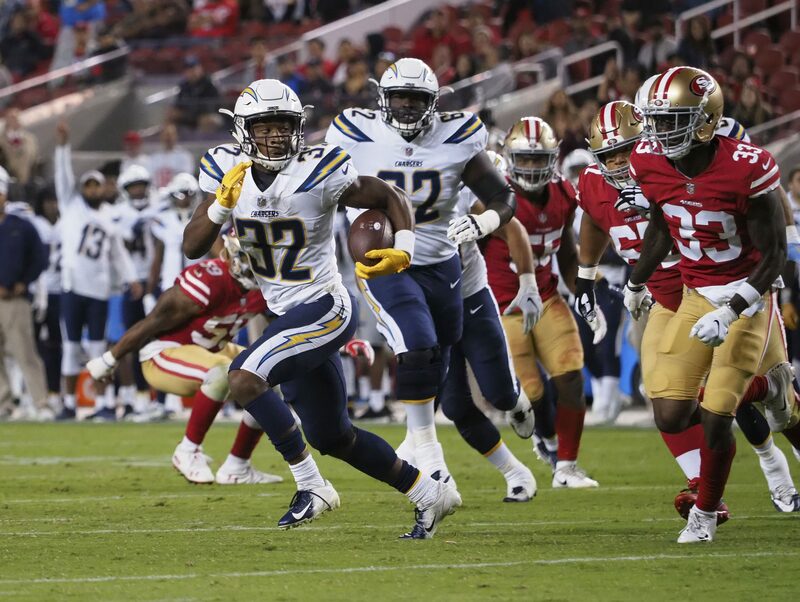 Shanahan-led offenses recently have evolved from the traditional, downhill running style of Steve Slaton and Alfred Morris to a full utilization of RBs that possess dual-threat ability in both the running and passing game. The most notable is Devonta Freeman and Tevin Coleman who received 108 and 105 targets between the two for his two seasons in Atlanta. 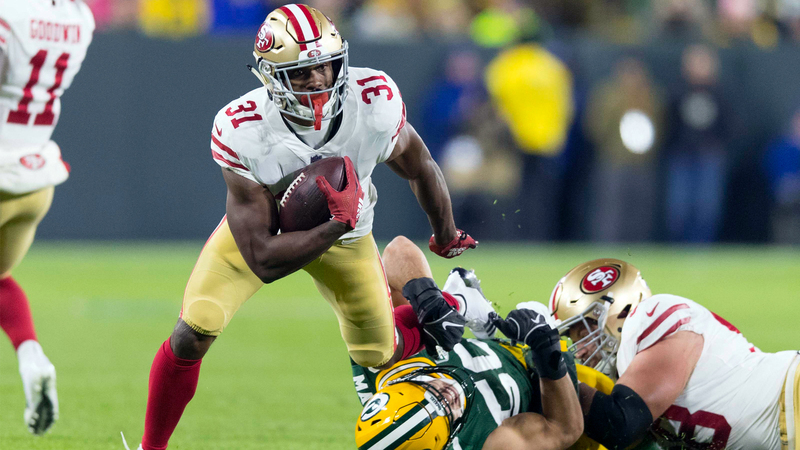 In his first year with the 49ers, Carlos Hyde received 88 targets himself which suggests that Shanahan will feature his backfield as the big part of his offense if the talent is available. As I showed last year in my article on Kyle Shanahan he will also feature his running game regardless of game script. If the 49ers don’t make a huge leap forward this season their rushing stats from last season will act a pretty safe floor for the team again in 2018. As a team, the 49ers should have their backfield statistics in the area of 310 carries, 100 targets, 1,300 – 1,500 yards on the ground, and 500 – 600 yards through the air. This will likely bode well for McKinnon if he can truly be the primary back in San Francisco. For a solid RB2 with potential RB1 upside McKinnon should be a player that most will target in their auctions during the summer. A two year, $35-40MM is probably where his value will be in most leagues. I would hesitate to offer more than two years because, like all other RBs, a lot can change in a backfield in 3+ years and until we see some production his going rate will be a major risk to a team’s cap situation. Remember that you can always resign him for more seasons if he becomes a top RB if your league has implemented the resign feature. As for trade value, if you are picking at the end of the 1st round McKinnon’s value should be comparable to the 1.08-1.12 selection. That is where I would start the conversation at but likely his owner will be more demanding. The Vikings were in a position that McKinnon was worth more as a compensatory pick rather than paying him with Dalvin Cook hopefully returning healthy next season. It will be important to watch the remaining days of free agency and the end of the draft to gauge how Cook’s rehab is going. Currently, only Cook and Latavius Murray are relevant runners on the depth chart with Mack Brown and Bishop Sankey left to compete for a roster spot in training camp. If the Vikings don’t invest more than a day 3 pick into an RB it should show confidence in Cook being back to full health for the season and likely being their bell-cow back. The Vikings offense as a whole should be stronger with Kirk Cousins replacing Case Keenum. I don’t want to go into too much detail about the Vikings passing game as I will save that for a future article but I will speak to what his presence means for the running game. The Vikings had 100 targets available to RBs last season, 68 of which have been vacated by McKinnon. Having a great QB always helps the running game and with Cousins being a stronger armed passer when compared to Keenum this would suggest that defenses will be more spread out and playing further away from the line of scrimmage. This leaves fewer men in the box and more space underneath for check down and release routes. Being tied to Cousins for the remainder of his rookie contract and having one of the best offensive lines to operate behind suggests that Dalvin Cook should be a floor RB2 most weeks for the next 3 years. If he is healthy upon return Cook may be the RB that becomes the most consistent producer from the 2017 class when we reflect back at the end of their rookie contracts. Make sure to continue to read more Free Agency Expectancy articles throughout the offseason to be prepared for your summer Auctions. Have a player that you want me to evaluate? Leave me a message on Twitter @RSO_NickAndrews. The first phase of free agency got off to an explosive start with teams filling needs across the spectrum. While all of the players fill roles for their new teams, not all of the deals are created equally. I grade the most fantasy relevant deals looking at their prospective uses and what they mean for your RSO team. Kirk Cousins lands with one of the best teams in the league in about the best case scenario for Cousins. The wide receivers and tight ends are arguably better as a group when compared to Washington’s core last season and the offensive line, while likely not better, is bound to be healthier. New offensive coordinator John DeFilippo is somewhat of an unknown as he only has one stop as coordinator in the NFL and that was with a bad 2015 Cleveland team. He spent the rest of his professional career primarily as a quarterback coach which is also good for the former Washington quarterback. Cousins remains in the low-end QB1 conversation. Grade: B. Minnesota understands the small championship window for a team based on a dominant defense and went all-in for a quarterback upgrade to maximize their chances during that stretch. The deal gets dinged for giving a good, but not great, quarterback a practically fully guaranteed top-of-market 3 year/ $84 million contract. The move necessarily limits contract extension options for other star Minnesota players over the next few years. Brees technically merited free agent status but there was little question he would resign with New Orleans. 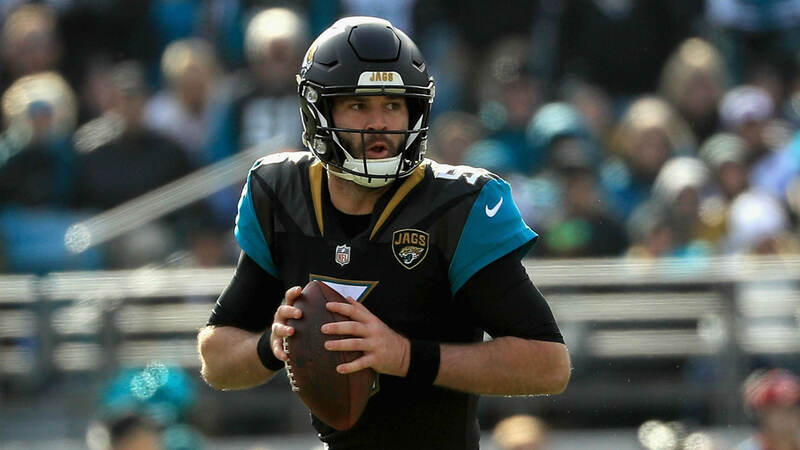 The 39 year old still is one of the best in the business finishing with his best efficiency numbers in seven years and the best completion percentage of his career. The raw numbers were down a bit thanks to a hugely improved defense and a stellar run game last year. Brees remains as a solid fantasy QB1 but the video game numbers in the past might be out of reach due to the lower expected volume from better surrounding circumstances. Grade: A. Resigning Brees, the face of the New Orleans franchise, was a near necessity for a team in title contention. Losing the longtime quarterback also would have been a public relations nightmare for both parties. Brees even bought into giving the Saints a hometown discount. 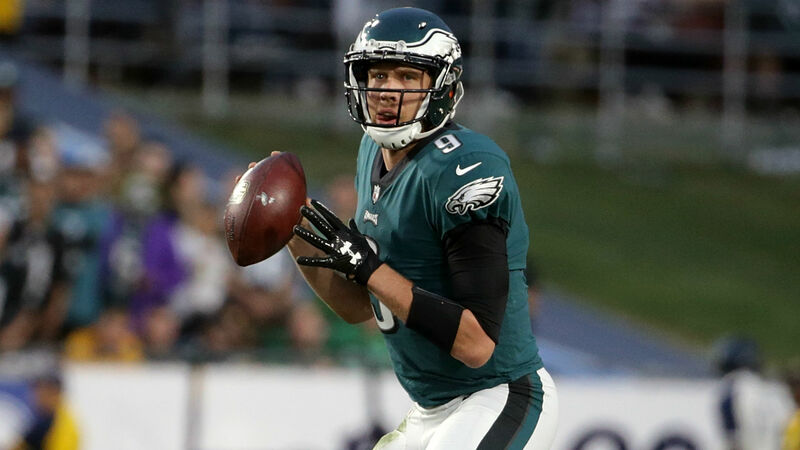 Sam Bradford transitions to an Arizona team also in transition with a new coaching staff. The match is not ideal with an immobile, fragile Bradford playing behind one of the worst offensive lines in the league. This might be a replay of his 2016 season with lots of short routes and dump-offs for the time he remains healthy. Case Keenum goes to Denver for a team more on the down-slope than they want to admit. The defense, while still good, is not what it once was and there is little speed from the offensive skill players. Josh McCown and Teddy Bridgewater will fight for reps on the rebuilding New York Jets. All of these quarterbacks might show up on the bottom-tier QB2 radar for superflex/2QB leagues but, being on teams who possibly draft a long-term answer at quarterback, also could be replaced later in the season depending on circumstances. Jerick McKinnon and Dion Lewis were the two highest paid free agent running backs in total contract value and guarantees. Let that fact sink in for a minute. Free agency really showed what direction the running back position is headed toward. NFL teams clearly value multi-dimensional running backs capable of significant contributions in the passing game. McKinnon’s stock (and hype) rockets upward in San Francisco under Kyle Shanahan. It is a better scheme fit for the athletic phenom with more outside run plays and heavy pass game utilization. Additionally, the depth chart below McKinnon is only led by an undersized undrafted free agent, Matt Breida. He will not be a traditional “bell cow” running back dominating touches, but lock in McKinnon as an RB2 for a potentially explosive offensive with Jimmy Garoppolo at quarterback. Grade: B+. This is a terrific fit and a position of need but at a big cost (4 year/ $30 million) for a running back who will not take the large majority of touches. A closer look at the deal and San Francisco’s cap situation diminishes those concerns somewhat. 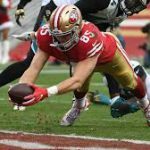 The 49ers wealth of cap space allowed a front-loaded contract with minimal commitments and more reasonable cap hits following 2018. New Titans offensive coordinator Matt LaFleur comes from the Kyle Shanahan/Sean McVay coaching tree. This means an emphasis on dual-threat running backs. Lewis is very good as a runner and displays exceptional quickness running routes. As a bonus, he is electric with the ball in his hands out of the backfield. His main issue has always been his susceptibility to injury. He maintained his health last season and was one of the better backs in the league. He moves to another solid run-blocking offensive line. I rank him as low-end RB2/Flex play currently. What this move really does is limit fellow running back Derrick Henry’s ceiling. Most people understood Tennessee would, at a minimum, bring in a significant third down back given Henry’s big deficiencies in the pass game. Lewis provides a lot more than that and will be used throughout the game in multiple different situations. Henry’s touch share becomes far more game script dependent with Lewis in the mix. Grade: A-. 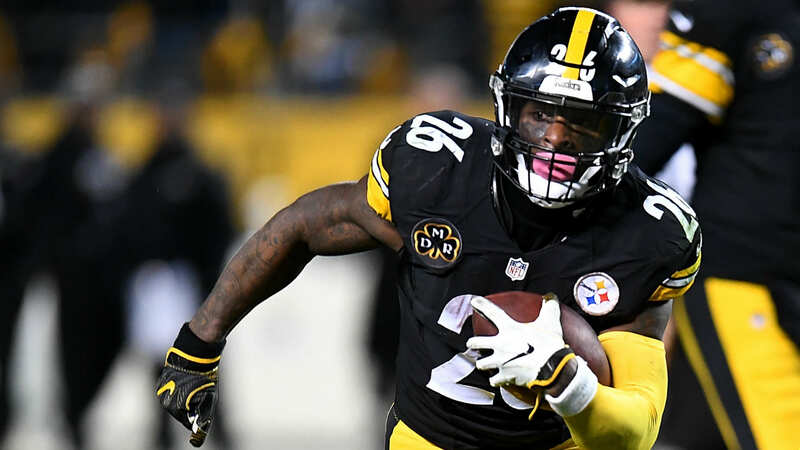 While his 4 year/$19.8 million contract is the second highest free agent deal given out, it is still a minimal portion of team cap space like most other running back contracts. Lewis provides the “combo” back which is a much better fit in this offense and something that was not on the Titans’ roster before. He will not be depended on to take a full load, which should help health concerns, but will be a great piece for what LaFleur wants to do on offense. Carlos Hyde moves to Cleveland where he takes the place of Isaiah Crowell. He is a better runner but also one of the worst receivers in the NFL out of the backfield. 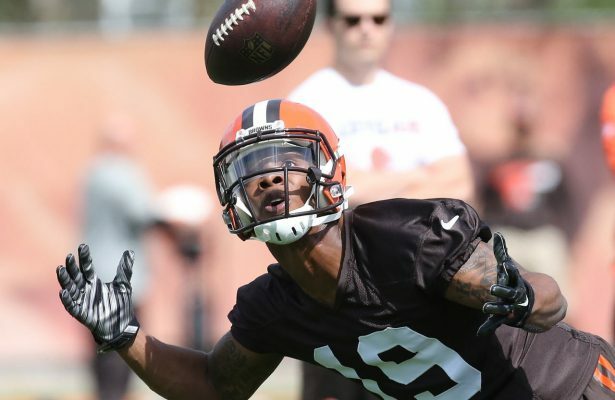 His receiving work, which were largely a result of having a rookie quarterback at the helm, likely dramatically decreases with Duke Johnson as a true weapon out of the backfield. Hyde downgrades to a borderline RB2. Speaking of Crowell, he departs to the Jets where he continues his rushing down role. The Jets have one of the worst offensive lines in the league and probably play from behind a lot next season. His fantasy prospects remain similar to what they were in Cleveland as a borderline RB3/4. Rex Burkhead resigned with New England and is joined by former Bengals running mate Jeremy Hill. The Patriots backfield remains a mess with James White siphoning off receiving work and Mike Gillislee possibly in the mix. Still, there is massive touchdown upside in this offense and a large target share for running backs. Burkhead and Hill both make for cheap gambles on a great offense. Maybe no other team’s skill players embrace the strength of their quarterback better than Kansas City. Watkins gives new quarterback Patrick Mahomes another target capable of stretching defenses and creating big plays. While this move undoubted should help the offense, what this means for Watkins fantasy value is far sketchier. The former fourth overall pick has been utilized primarily as a deep threat to this point in his career. 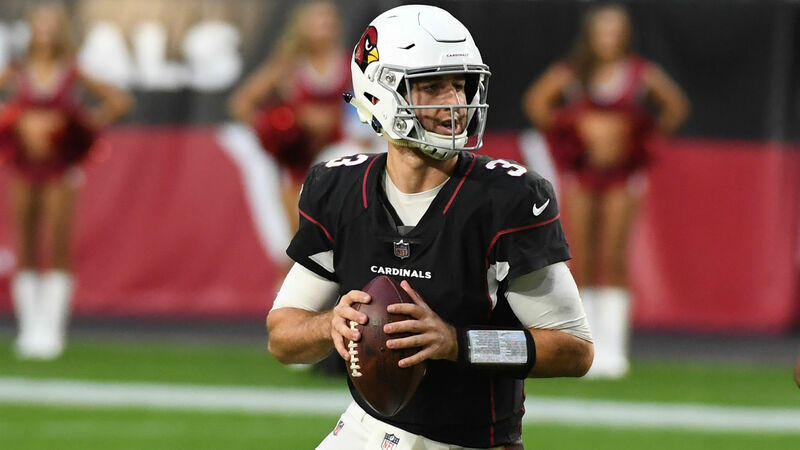 Will he see much increased volume on a team with Tyreek Hill and Travis Kelce as the top incumbents and essentially a rookie quarterback? I put him in the WR3 mix although one with a larger range of outcomes and more upside than others in this range. Grade: C-. Watkins’ strengths should mesh well with Mahomes but this signing is an absolutely massive commitment to a player with an unknown role in the offense. Watkins immediately becomes the fourth highest paid wide receiver in average salary for the entire NFL. This is top of the league receiver money for a player who could conceivably be 3rd on his team in targets. His big cap hits in future years could also produce difficult roster decisions for the Chiefs. 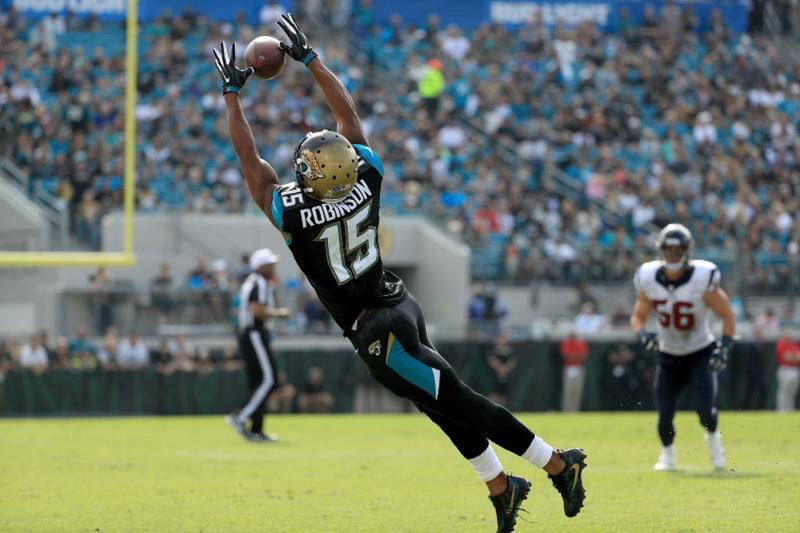 Robinson produced one great season and a few middling ones in Jacksonville. How much of that is due to the quarterback situation remains to be seen. It is troubling Jacksonville felt more comfortable signing Marquise Lee and Donte Moncrief to big contracts rather than tagging or resigning Robinson. His best skill is corralling contested boundary throws which is not the type of throw new quarterback Mitch Trubisky has shown a penchant for. With that being said, he should still slot in immediately as Trubisky’s top target. 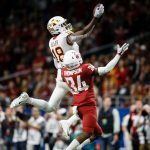 Robinson ranks as a low-end WR2 for what will likely be a low-volume passing attack. Grade: B. Chicago needed receiving weapons in the worst way and landed one of the top available at an average of $14 million for 3 years. Robinson is an expensive gamble based on his injury history and inconsistent production but a risk worth taking for a team with plenty of cap space and little else on the roster. 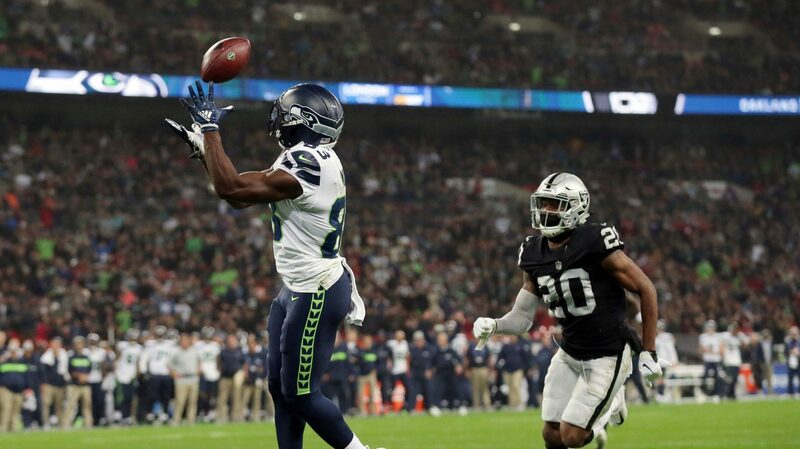 Paul Richardson fills the need for a speedy deep threat in Washington receiving a big five year deal in the process. The afore-mentioned Donte Moncrief swindled a fully guaranteed contract of almost $10 million (plus incentives) in 2018 from Jacksonville making him the third highest paid wide receiver in free agency and top-20 in average salary among all wideouts. This was easily one of the worst skill-position contracts given out in free agency on a player who will fight for playing time but is paid like a top receiver. Marquise Lee stays in WR3/WR4 mix on Jacksonville’s low-volume passing attack. Miami dumped Jarvis Landry’s big franchise tag contract on Cleveland only to spend a combined $36 million in five years on Albert Wilson and Danny Amendola to fight for slot and WR2 reps with incumbent Kenny Stills. The Seattle experience was not kind for Jimmy Graham. 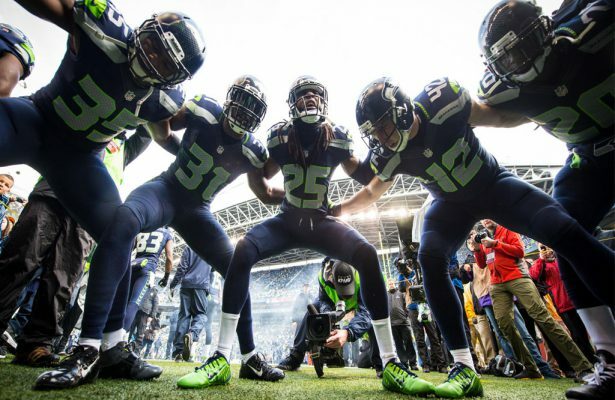 He never really fit in for what the Seahawks wanted from him when he was healthy and it was painful watching Graham following his patellar injury. Unfortunately he lost the burst and speed which made him one of the most dangerous receiving weapons in the league with New Orleans. His great size and hands still let him maintain a role as a significant short-area threat. The lack of options at tight end puts Graham in the borderline TE1 mix on a potentially explosive Green Bay offense. Grade: D. This is an odd fit as Green Bay never utilized the tight end position much during Aaron Rodgers’ reign as quarterback. Graham can still be a useful role player but clearly is not the type of game changer the Packers invested in. Green Bay paid for the Graham of five years ago with a contract that makes him the highest paid tight end in average salary for the NFL today. Some players make a lot of money on the open market based on a few games filling in for starters. Trey Burton is this year’s reincarnation after scoring a 4 year/ $32 million contract from the Bears which places Burton as one of the highest paid tight ends in the league. What role Chicago has in mind for Burton is still a question. Burton is not big enough to fill the primary tight end spot. 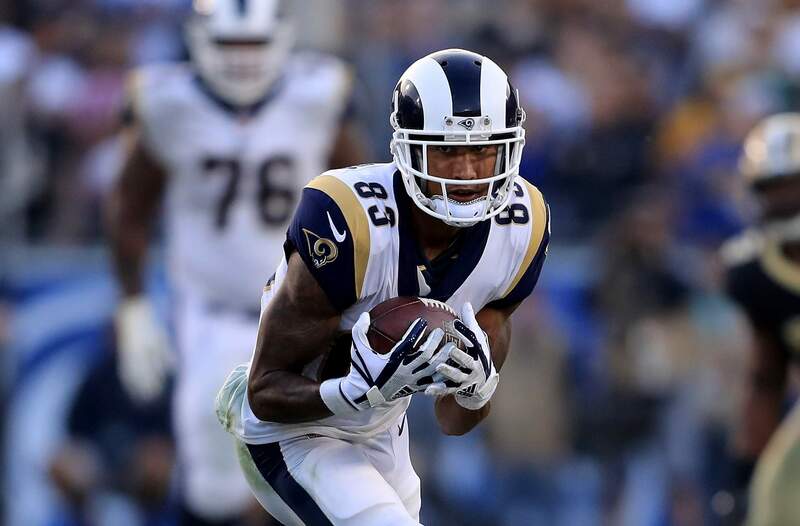 While a good receiver for a tight end, he also is not the type of difference-making receiving weapon that warrants being on the field consistently despite his blocking deficiencies. Burton slides in the very broad TE2 territory for fantasy purposes. Grade: D+. This move seems like a desperation play from a team in bad need of receiving help. Burton makes for a nice number two receiving tight end for a team but is paid like one of the best tight ends in the league. There could be some untapped potential here but Chicago paid dearly on that gamble. Detroit unceremoniously released Eric Ebron after four disappointing years. He joins Jack Doyle in what could be a sneaky good spot with Andrew Luck returning and a lack of pass catchers signed for the Colts. Perennially injured Tyler Eifert resigned a single year contract in Cincinnati. Health will be the key issue as always for the former first rounder who has TE1 upside when in the lineup. Austin Seferian-Jenkins moves to Jacksonville in a low-upside passing attack. The former Jet has not eclipsed 360 yards in a season and is nothing but TE flier for fantasy purposes. Bio: Bernard Faller has degrees in engineering and economics. He currently lives in Las Vegas and enjoys athletics, poker, and fantasy football in his free time. Send your questions and comments (both good and bad) on Twitter @BernardFaller1. If he wasn’t taken in your rookie draft, which his 48.3% owned clip would seem to indicate, pounce on McKinnon following his 18 carry, 135 yard performance in Week 4 vs. the Falcons. He has big play ability and is still a little raw in terms of playing football, but his athleticism is too good for the Vikings to keep off the field. Spending $1-$1.5m of your FAAB dollars on him may be the best investment you spend in free agency this season and if you are rolling in the deep pockets, you can go up another $1 million. 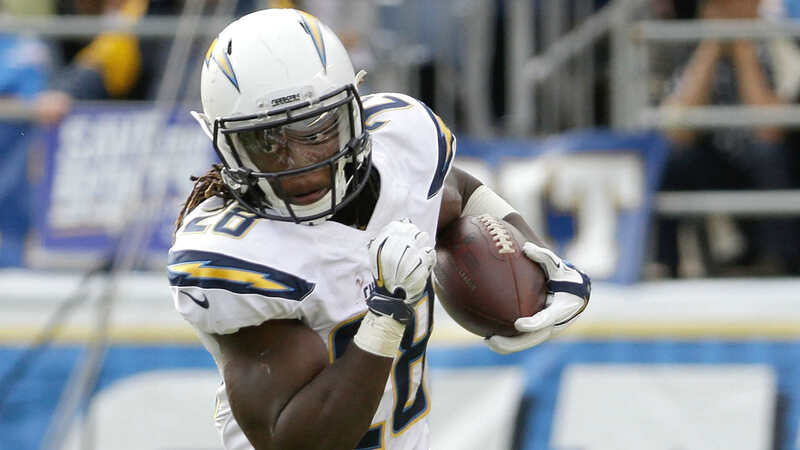 The rookie running back has burst onto the scene the past two weeks with two touchdowns and 141 yards rushing. He runs downhill very well and punishes defenders. 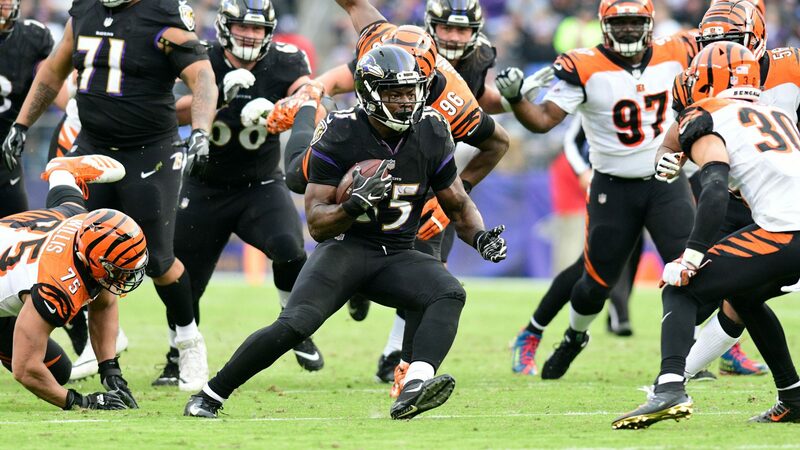 Keep an eye out to see if Bernard Pierce is slated to return to make the backfield even more crowded with Justin Forsett in the mix as well, but Taliaferro is the best pure rusher of the three. If you are the owner of Arian Foster, sprint, don’t run or walk to grab Blue off of the waiver wire. Foster’s balky hamstrings are an ongoing concern and the Texans need to mix in the run to keep opposing defenses honest. They can’t rely on J.J. Watt to do everything, right? Blue should be owned in more leagues as an effective handcuff if Foster misses extended time and someone who may get carries to keep Foster fresh as well. Yes, another running back, which just shows how the elite running backs have either disappointed, gotten hurt, or both. Crowell has already found a knack to hit paydirt with 141 yards rushing and 3 Touchdowns on the season. I know that Ben Tate is coming back now post bye and Terrance West is in the mix too. However, Crowell has the most talent of any of the Browns running backs and the best ability in Offensive Coordinator Kyle Shanahan’s zone blocking scheme. Obviously Tate has had a laundry list of injuries in his career as well, so Crowell certainly should get tote with or without Tate in the mix. Marvin Jones had 10 touchdowns in 2013, including a whopping 4 in a single game in 2013. He’s coming back from a leg injury after the team’s Week 4 bye. Look for Jones to establish himself quickly and he would have been a valuable chip in your auction had he not been hurt heading into the season. I know, I know. 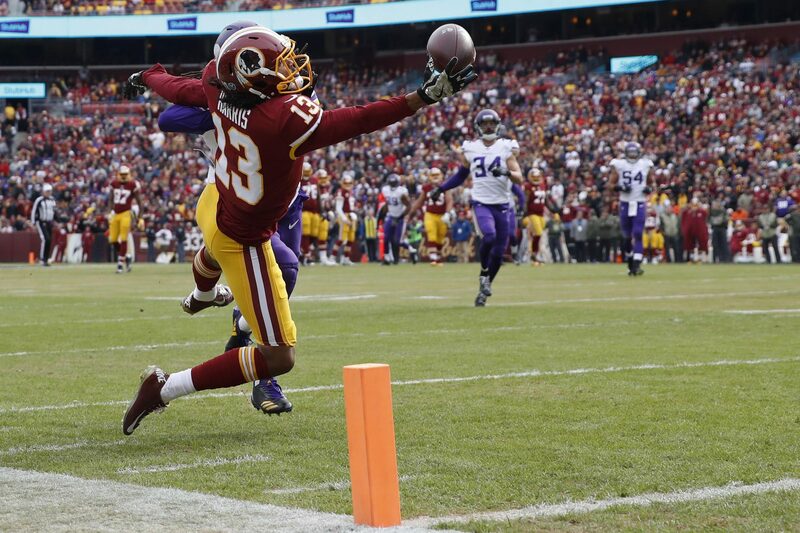 Royal started hot last season with 5 touchdowns on 10 receptions in his first two games of 2013. Then he burned you when you spent decent FAAB to grab him with a dismal rest of 2013, ceding catches in bunches to then-rookie Keenan Allen. 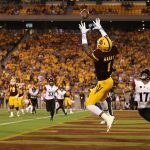 So how do you trust Royal this year after another hot start where he’s totaled 17 receptions on 29 targets for 236 yards and 4 touchdowns, including 4 in the last two games. In this case, you let targets be the indicator and 7 targets a game shows Philip Rivers’ confidence in Royal. 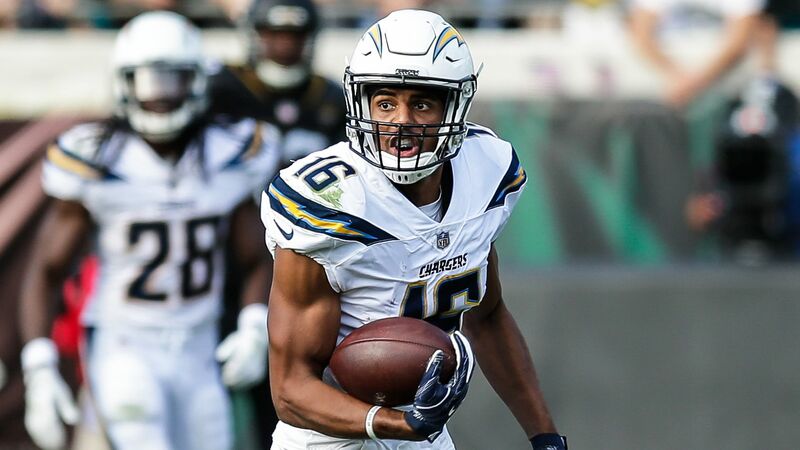 Additionally, add in the fact that the Chargers have serious injuries and lack of production in the running game, and Royal becomes a more valuable chip, especially in leagues where you get rewarded for return yardage as Royal is the Chargers primary punt returner, albeit with only 7 returns for 31 yards so far this season. Geno Smith is just not an effective NFL quarterback right now and his turnovers are starting to pile up. Michael Vick still has some gas left in the tank and could be a nice stash on your bench that could pay dividends at some point this season. Imagine the team speed with Vick at quarterback and Chris Johnson at running back. My RSO bosses will note that I’m a Browns fan. However, Hoyer’s quick release and offensive efficiency have kept the Browns in games and a few plays away from being 3-0. He has established immediate chemistry with Andrew Hawkins in the slot and makes good decisions. The team just had their bye in Week 4 and should have tight end Jordan Cameron back from a shoulder injury. Cameron should turn into Hoyer’s primary target until Josh Gordon returns at the end of the season. At that point, Hoyer could be very useful to fantasy owners if their starter gets hurt or as a streaming quarterback option. All Smith does is make big plays. He has three touchdowns on the year in limited work and has serious burst in the open field. With Steven Jackson being an older running back, Smith has some flier value as Jacquizz Rodgers and rookie Devonta Freeman haven’t done anything to establish themselves as more than peripheral options. You have to think Smith’s play has earned him more playing time. J.J. Watt does everything and now Jadeveon Clowney seems ready to come back in a few weeks. They have made some big plays and also have stopped opposing offenses. Definitely worth considering as a streaming or starting option. While my team Cleveland’s Award Tour has had a disappointing start from Demaryius Thomas, I feel good about where my team is at following a huge bye week in week 4, as I suffered a close loss to B Ron’s Ballas (Brian Luzier) without Peyton Manning, Thomas, Andre Ellington, Michael Floyd, and the Seahawks DST. Leo Howell, who does some fantastic writing for numberFire and film study for RotoGrinders and should be followed by all RSO users on Twitter via @LeoHowell8, is undefeated in spite of Jamaal Charles suffering an injury. 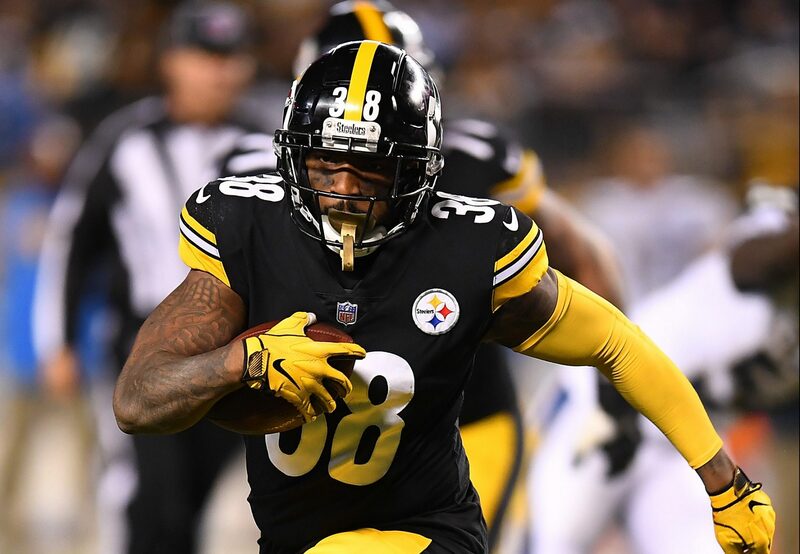 DeMarco Murray, Antonio Brown, and DeAndre Hopkins have paced Howell thus far and he’s certainly enjoying his debut in a Reality Sports Online league. Luzier has been buoyed by Julius Thomas’ hot start as well as Jordy Nelson, although he was shopping for running backs a few hours ago on the league message board. 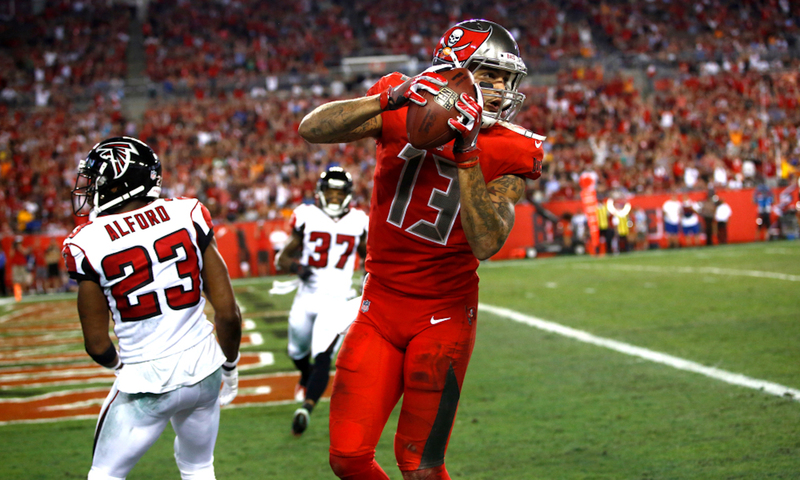 La Morsa Roja, led by Tyler Buecher has ridden a hot start from Le’Veon Bell to a 3-1 start, as well as strong WR performances from Randall Cobb and Julio Jones. Lesean McCoy has been disappointing thus far for Tyler, but his team looks formidable after four games. 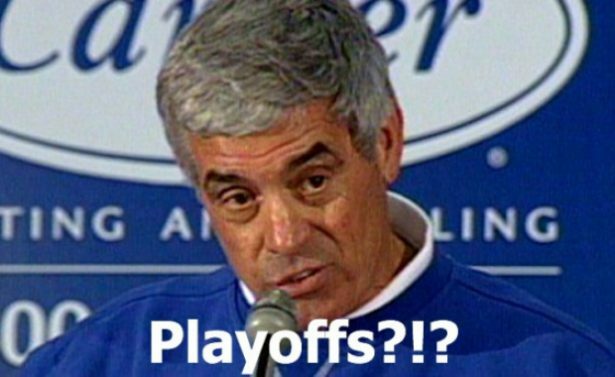 Ari Ross’ The Johnny Cleveland Show would be the #4 seed in the playoffs if they started today in spite of a 2-2 record. 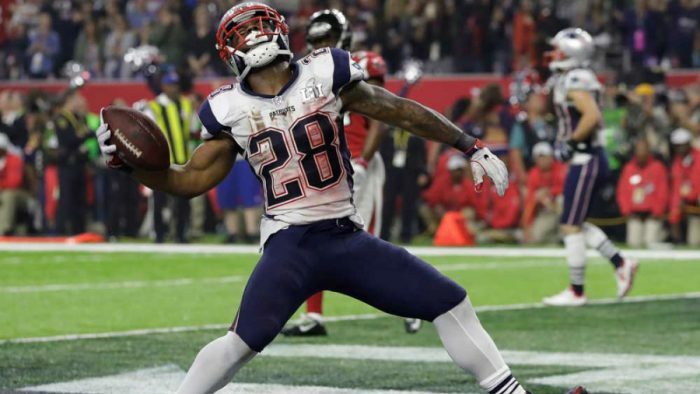 Rashad Jennings and Martellus Bennett have been the main contributors to Ross’ early success. This past weekend, I made my first trade of the regular season in my primary Reality Sports Online league. My league is very unique, so before analyzing any trade, I feel the need to put some context into my team and the competitive landscape. Our league is a 12-team PPR league, where negative plays such as QB interceptions and any player fumbling result in penalties of -5 fantasy points. Additionally, quarterbacks gain 0.5 pts for completions and lose -0.5 for incompletions. We start the following lineups, with an emphasis on flexibility and the fact that the NFL is a passing league: 1 QB, 1 RB, 2 WR, 1 TE, 1 DST, 1 K, 3 FLEX (RB/WR/TE). We are in the second year of our league and have 22 man rosters to handle cascading rookie drafts and player contracts in future years. 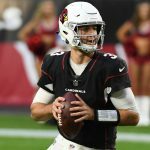 I traded the three players in bold – Larry Fitzgerald, Teddy Bridgewater and Darren McFadden – to a team that entered the league as an early season replacement for a capped out team that was lacking talent in spite of being capped out in 2014. In return, I basically received Alshon Jeffery, for a 1 year, $26.3 million salary. My thought is that in the second year of my league, I have a really good team, especially at wide receiver in a PPR league. Fitzgerald is starting to decline some, but still can be productive, but it was worth it to me to get Jeffery’s upside, even if it is only for a year (he was franchise tagged by other owner). I feel like I have a star at every position, which is important as the league arms race has a few teams that have serious star power as well. 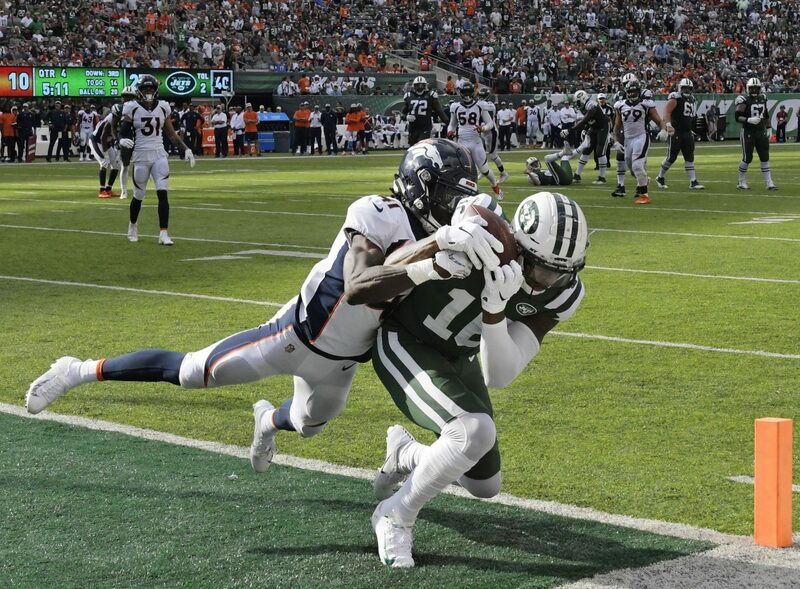 While Jeffery has been nursing a hamstring injury, his 100 yard game vs. the Jets on Monday Night Football alleviated any concerns I had about making the deal. 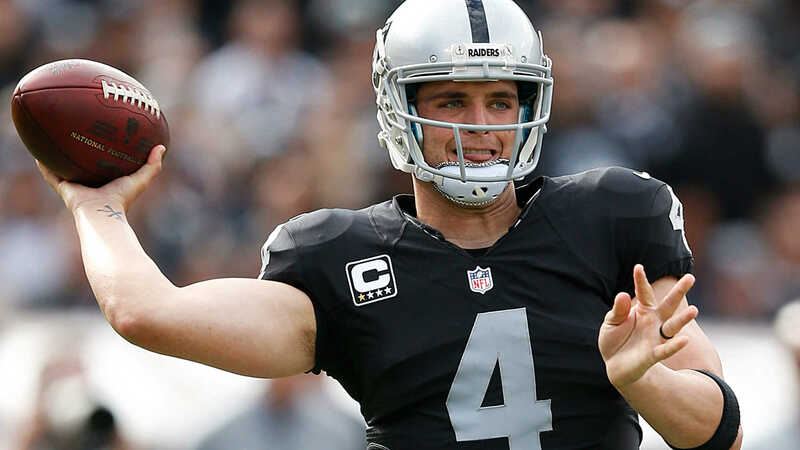 The team I traded with wanted a combination of 2014 cap space, they picked up over $5.0m in the deal, someone they could start this past Sunday (McFadden), a usable good player (Fitzgerald), and most importantly a good future asset on the cheap. Bridgewater’s 2 year, $1.5 million could be a seriously valuable asset to this owner’s team if he becomes a QB1, either to keep or to trade and Bridgewater got off to a great start last Sunday. I had several players on bye last week, but made a combination of the right starts (other than Kirk Cousins) with Heath Miller and Lamar Miller in my lineup and the addition of Jeffery helped me win last week, raising my record to 2-2 overall (I scored plenty in a Week 1 loss where my opponent put up a league record against me). With the last two playoff spots in our league being determined by Total Points Scored, my star power should alleviate any issues I may encounter from head to head action.